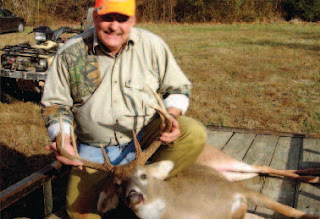 My friend Dean DeBow and I understood 15 years ago that if we wanted to hunt big racked bucks, we had to let some walk, keep buck-todoe ratios in check and ensure they had what they needed to eat. Neither of us ever thought that our agreement of, “If you’re not going to mount it, don’t shoot it” would lead us to the activity we are involved in today. 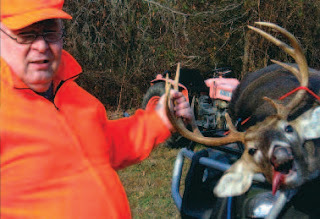 We started preparing for food plots in the spring about five years ago. I purchased a 1956 Ford 600 tractor, (one like my grandfather had), some implements and started planning plots. 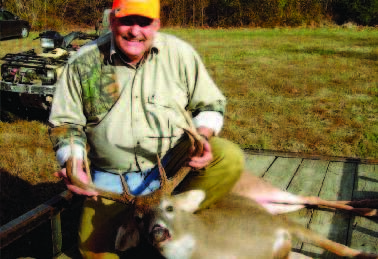 We did some research and realized Whitetail Institute also did research. I liked the fact that advertising could be backed up! I’m a substance abuse counselor, not a farmer. However, my father and Dean’s father taught us to be outdoorsman and sportsman. 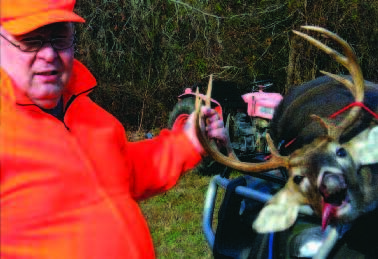 To have a healthy deer herd, we needed to be good stewards of the land. Our first plots were planted with Imperial Whitetail Clover. 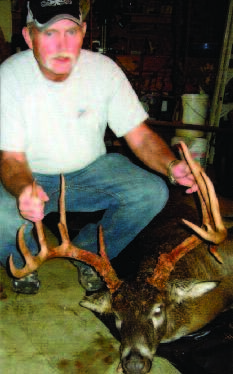 We also were fortunate at that time to run into the Whitetail News! Wow, what a blessing that publication has been to us! We started providing mineral sites in lieu of salt licks. Our ground preparation improved as we followed the directions of including lime and correct fertilizer rates. We have purchased Whitetail Institute herbicides to spray our plots. We also started over seeding plots with Chic Magnet, Tall Tine Tubers and various other Whitetail Institute products to add a bit of variety. We are fortunate to have a good genetic line, good cover and plenty of water and with the extra effort of food plots, we have noticed a significant increase in body size, healthier overall deer herd resulting in very nice racks being sported around by 2-1/2- and 3-1/2-year-oldbucks. Our fawns are born healthy, which provides them with a better opportunity to develop into good bucks or good breeding stock for the future. I very much enjoy spending the time and effort doing it right so I can watch it grow… and I’m talking about the plots and the deer, turkey, quail and various other species running around on the farm. Enclosed are pictures of some of the bucks we’ve taken including a monster taken by Dean. Thanks to all the folks at the Whitetail Institute for all the effort put forth to make fellers like us enjoy our outdoor experiences so much more and allowing us to be more successful! I probably need to also thank my wife who realizes the importance of this hobby and supports our efforts. So many things need to come together to have the blessings we currently enjoy.